As mentioned earlier on, you can expect a whole lot of epic-ness in this week’s #wristalk column, Tim’s entry literally just blew us away with the variety in his collection. Anyway, we are simply just at a loss for words to eloquently express our madness over his collection, to be honest I was not even sure how in the world did I manage to keep my cool. Anyway… jokes aside! #Watchfam! Here you go! EPic18 (see what I did there) of #wristalk, now LIVE on CHRONOMATICK.wordpress.com! Enjoy! I enjoy this spice of life variety, and probably explains why I own more vintage; simply because there’s just more models in years past, and more time to perfect a design! First off, thank you for having me here; and also cheers to Vinh (@artisanstrapco) for linking us up! Growing up, my father gave me cheap watches to wear, to teach me the value of time. No major brand or anything; but do recall them having either lume or a green led with a button press. Staring at these dials under the bedcover as a kid really made an impression on me. When I became a teenager, Tiger Woods was just getting popular. A school teacher of mine pointed out that Tiger wore a “Tag Heuer”, which had a spinning rotor that would keep them wound without a battery. Obviously not knowing anything about Rolex or any wrist watch history then, I was blown away and had to have one: the Tag Heuer Link. But it wasn’t another 15 years later until I finally felt, “okay, I deserve a nice watch now”. I arrived at a good place career wise, and wanted to enjoy the fruits of my labor. On a vacation to Palm Springs with my girlfriend, we stopped by a Tag Outlet; and that day walked out with a Link Calibre 16 Day-Date. Guess I’ve always been the guy who purchased things first, then figuring it out afterwards; so the reading and research began. This led me to WatchUseek, OnTheDash, and plethora of knowledge available online. I have an addictive personality, and get really into things – basketball, sneakers, vintage guitar pedals, audio gear, etc… Naturally, I sunk deeper into the rabbit hole. My day gig is an audio engineer, and I have devoted my life into making better music. I love watches the same way I love music mixing. They both fuse the art and technology, the creative and technical… the proverbial link between left & right brain. There’s a reason why they evoke both the logic and the emotion in us, right? 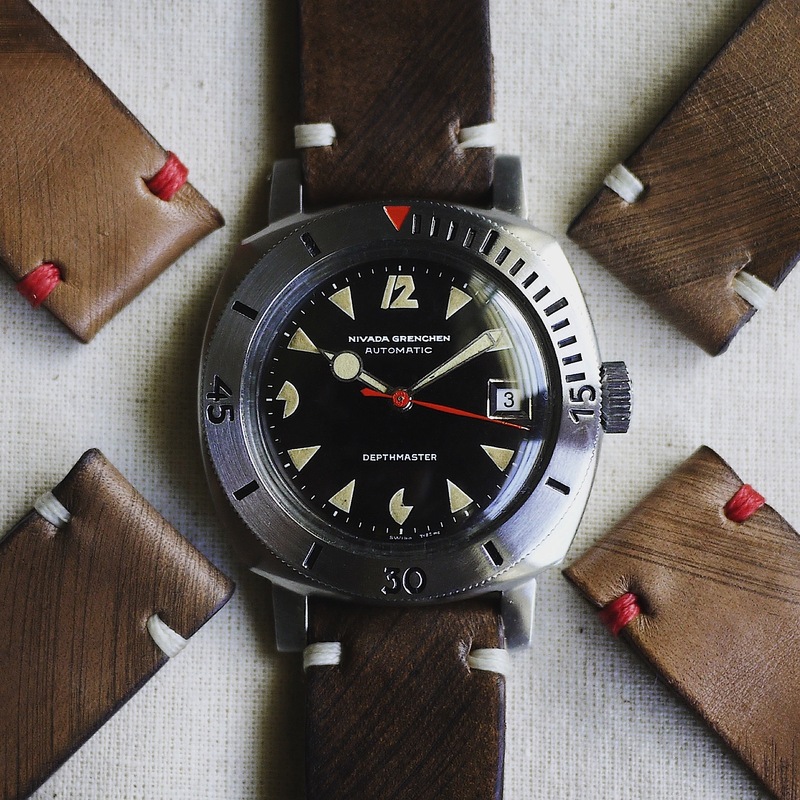 4 Line Red Sub. Damn..
– They are both the universal language. In general, most people understand the essence of music and the importance of time; regardless of culture or ethnicity. – They both have a (heart)beat – the beat of the rhythm and ticking of the seconds. – They both help recall a memory or remember a pastime. We use music as a soundtrack of our lives, and watches as a sidekick witness to our celebrations, achievements, or just experiences. The other major plus is the incredibly sweet, passionate, and grounded people I’ve met along the way. I would never have been able to meet these awesome WIS otherwise, from all over the world! The sense of community and respect here is absolutely unmatched, and especially since the first GTG at #LAWatchGang, it really resonated with me. My collection focus is not as obvious as others. Since I have finite funds, I thought: if limited to one, what model would I choose from each brand? I also considered different era as 2 separate brands, e.g. 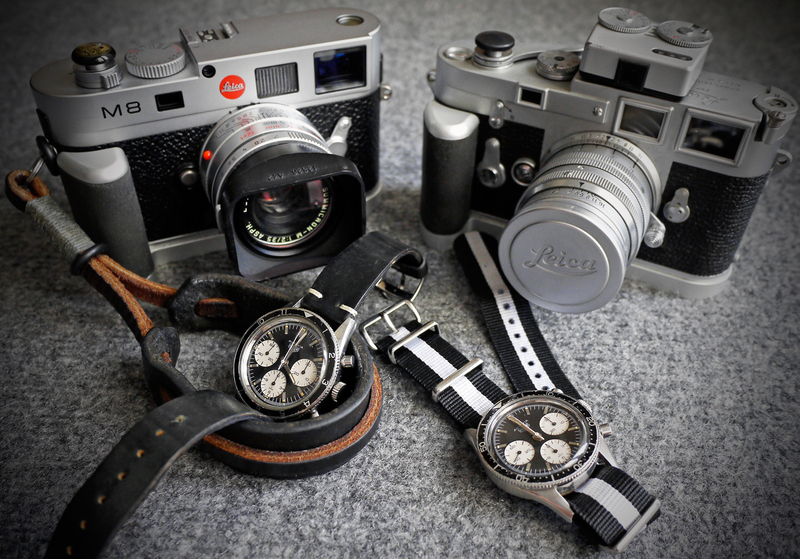 Heuer vs Tag Heuer, Longines yesteryear vs post-Swatch, etc. From there, my collection grew to what it is today. Essentially, it’s picking out the MVP from each team, and forming my ultimate all-star team. I enjoy this spice of life variety, and probably explains why I own more vintage; simply because there’s just more models in years past, and more time to perfect a design! 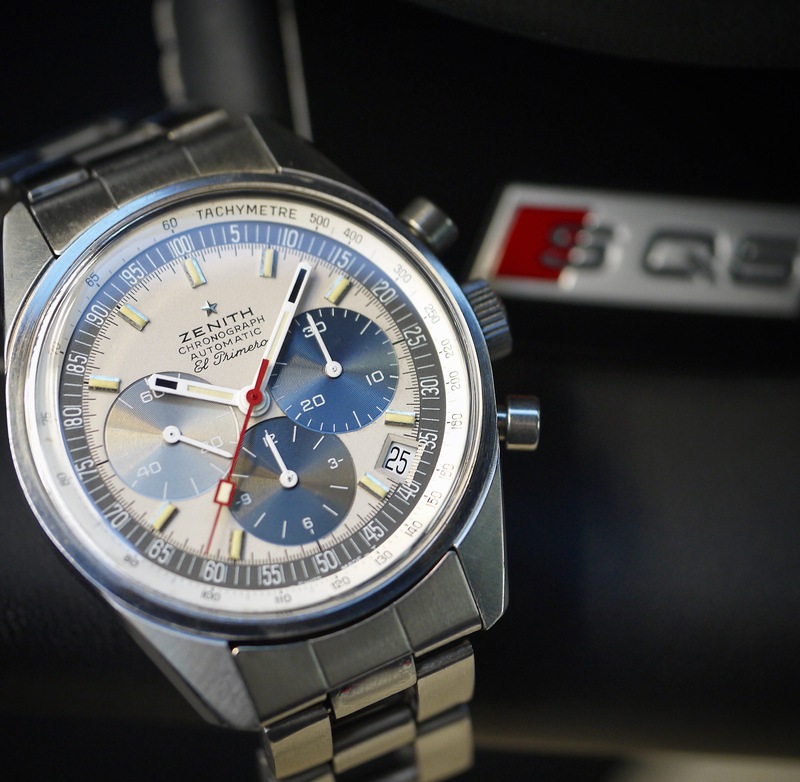 Although my overall preference is tool watches and chronographs, I still got the basics covered – Pilot, Racer, Diver, Dress, Beater, Moonphase, Minimal, etc. But in general, I gravitate toward pieces that move me with its design language and complications. My last watch was actually 2 fold. Been on the hunt for a Nivada Grenchen Depthmaster “Pacman” ever since I saw a pic on @VintageDiver ‘s IG. After an extensive search, there were only a few out there; but none with the date. 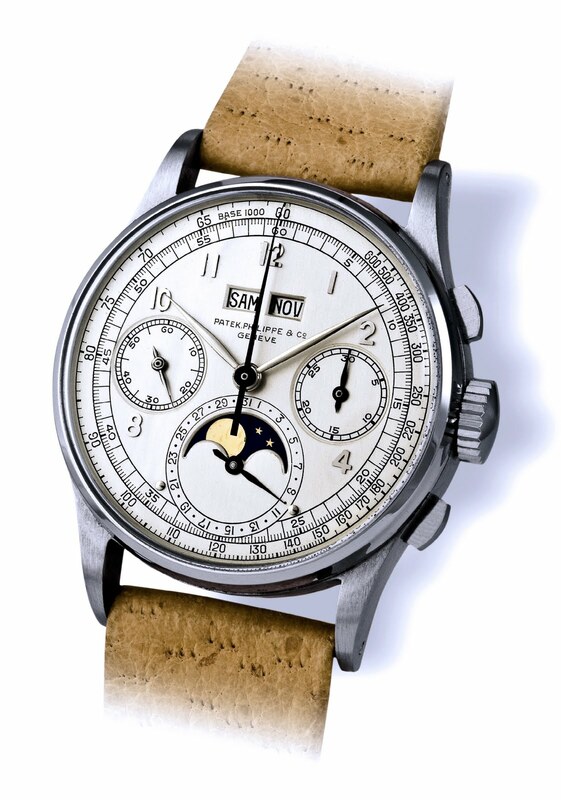 I eventually found a blogger in Japan who also dealt watches, and he had one in so-so condition. While I can get by with Japanese, I still asked a close friend in Japan for the transaction since he was in the same time zone, thereby easier to seal the deal. Pretty soon that Pacman was mine; and considering how rare these pieces are, I probably spent more than I should have. Ironically, within a week, another one popped up on eBay (with a date too!) – but this time in immaculate condition, with all original parts. This was the actual condition I was after… and with my dumb luck, I actually sniped it for much cheaper than what I paid for the one from Japan lol. Karma? 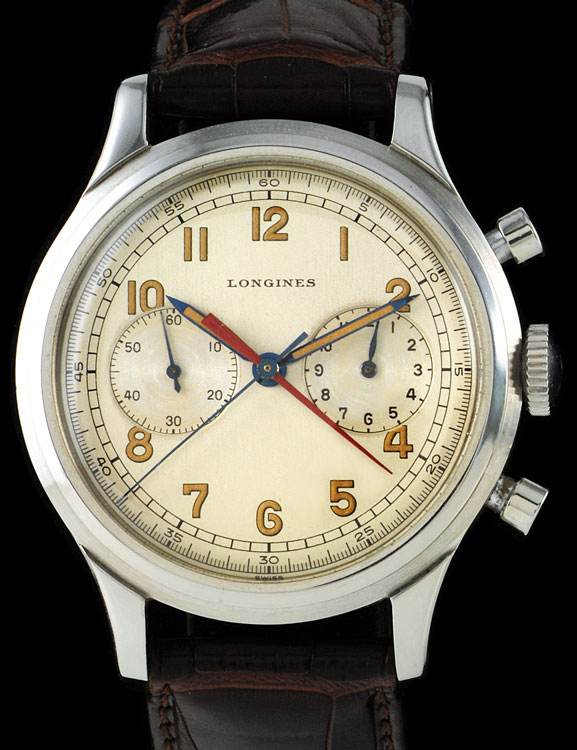 Obtainable (somewhat): Longines 13zn-12. There is just no modern alternative with the same complication balancing such a clean, slick look. Unobtainium: Steel 1518. No explanation necessary.